We are very grateful for the support we receive from St. Mary’s parents for the development of our buildings. Our original school buildings are over 50 years old and in constant need of repair and development. Without your support it will be impossible to continue to develop the school environment for the benefit of our students. We are inviting new parents to join our highly successful Voluntary Contributions Scheme. Most families contribute to the scheme by monthly direct debit of £5, £10 or £15 per family. Any contribution, however big or small, will be gratefully received. We spend voluntary contributions on projects that improve the environment for our pupils: such as decorating classrooms and corridors; refurbishing toilets; ICT equipment. Please find above a Standing Order Form and Gift Aid Declaration which can be completed and returned to school in an envelope marked for the Finance Department. In 2017 we completed improvements to our dining facilities, ensuring an efficient service for the increasing numbers of students who enjoy school dinners. 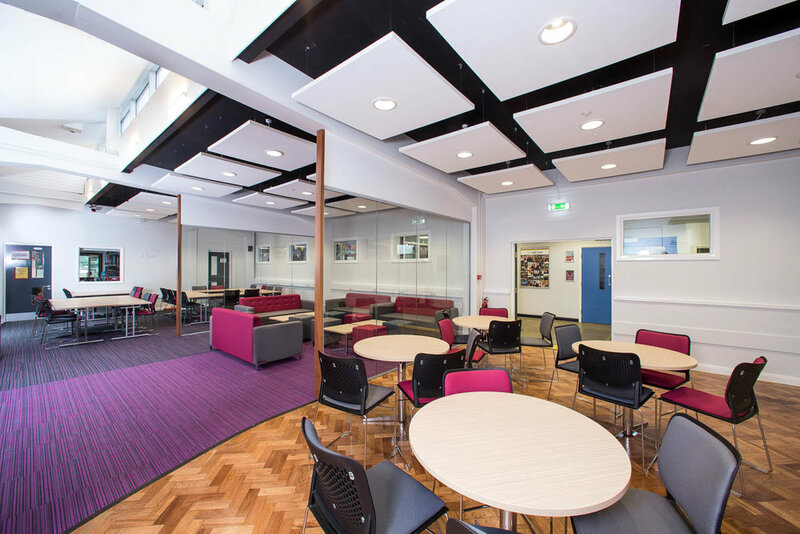 We also completed an extensive refurbishment of our Sixth Form Common Room and refurbished our Study Centre (H22). During the summer break 2018 we have completely re-roofed the Sports Hall and redecorated the English and Maths rooms. Although the scheme is entirely voluntary, we are grateful for the continued support of our school community, families and friends.